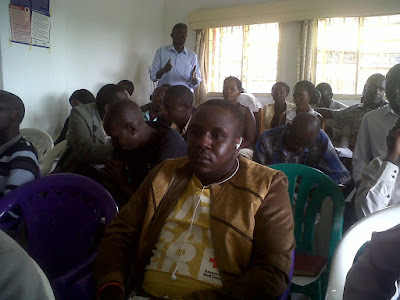 The 16 advocacy forums have been formed by the 120 rural monitors who have been trained by ToroDev since August, 2012 in online advocacy, monitoring service delivery using online social media/ICT tools like Ushahidi platform for online documentation, visualization and mapping. The Advocacy Forums also use FM Radio Broadcasting as an ICT tool for “convergence or hub” since it is the most accessed media channel in the rural areas of the Rwenzori Region. As a way of motivating, encouraging, strengthening & empowering the leaders & members of the 16 advocacy forums & rural monitors initiated by ToroDev, a dialogue meeting was held on 16th June 2015 and it was attended by leaders and coordinators of the 16 advocacy forums at sub county level in the 7 districts of the Rwenzori region. 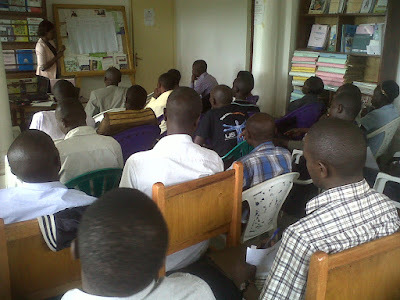 The meeting was attended by 36 people, 16 females and 20 males. Each Forum was represented by the leader of the Forum and the coordinator. “I encourage our forum leaders and members to always be informed in order to advocate for better and improved services in their communities and also encourage you to cooperate with your local leaders, work hand in hand with them and engage them in your meetings, radio talks & workshops, all we want to see is change in service delivery in different sectors”, said the executive director of ToroDev Mr. Baguma Johnstone Kumaraki during the meeting that was held at ToroDev resource center. The meeting aimed at strengthening the institutional capacity of the 16 advocacy forum leaders & rural monitors in demanding and advocating for improved service delivery using appropriate tools that fit in the Minimum National Standards of Service Delivery (MNSSD). The forum leaders were taken through MNSSD in the sectors of education (primary), roads, water & sanitation and health ( health center 11s & 111s) by ToroDev Monitoring & Evaluation (M&E) team , Florence Githinji & Shiela Amanya. Meanwhile Mr. Bahabwa Vincent the chief executive officer of Booms Initiatives Uganda, an organization that promotes financial literacy in western Uganda shared with the forum leaders about financial literacy, saving for the future and how to sustain the work of the forum with or without the support of ToroDev. “What fails us to save is the reason why we think we are saving, have a percentage of your income saved however small it is , one must have a saving plan and be sure to him/herself on the things to spend and successful people plan for their expenses before the actual spending’’, said Mr. Bahabwa Vincent. “Our villages are very far from each other some of us have very big areas where we have to do the monitoring of services , we therefore, request ToroDev to facilitate us with motorcycles to ease our movement’’, said Amos Karuhanga, chairperson Ntoroko Citizens Concern, a forum group in Ntoroko district. “Sometimes we have information that requires backing up with photos for evidence and sometimes we do not have the cameras or voice recorders and we fail to get real evidence to share with our leaders, we request ToroDev to facilitate us with cameras so as to do our work effectively”, said Wilson Monday, coordinator Nkoma advocacy forum in Kamwenge district. We are grateful to SIDA, NED, DRT, CIPESA, SPIDER, and ICT4DEM for their financial and technical support.